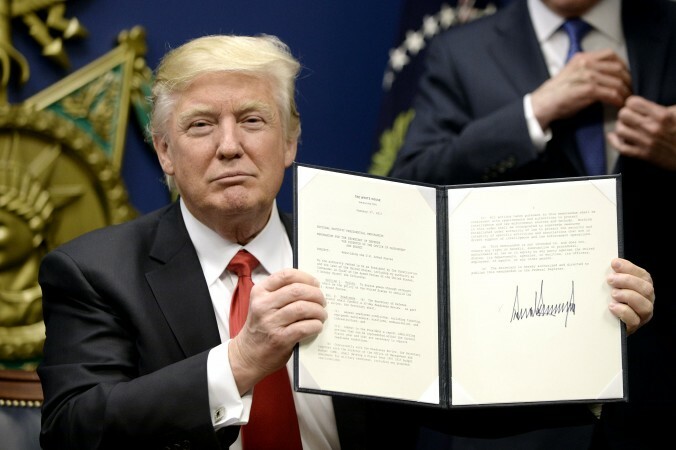 On January 27 2017, President Trump released an executive order suspending the entry of all citizens from Iraq, Syria, Sudan, Iran, Somalia, Libya and Yemen into the United States for 90 days. In many informal discussions, the executive order has been termed, ‘the Muslim Ban’, due to the selection of countries provided. In addition, the order has banned the entry of refugees fleeing from Syria indefinitely, and barred all other refugees for 120 days. Despite tightened visa-issuance procedures following the September 11 attacks, the release of the order was justified on grounds that tightened regulations were insufficient in thwarting foreign national threats against the US. Whilst countless academics, politicians and lawyers have debated the moral and ethical problems surrounding this topic, much confusion still exists over the legality and clarity of the executive order. When looking at domestic US law, one finds the Immigration and Nationality Act (1965) which states no person may be “discriminated against in the issuance of an immigrant visa because of the person’s […] nationality, place of birth or place of residence.” In spite of the arguments that claim executive orders are legally binding, it is important to note that no executive order has the constitutional power to trump pre-existing legislation within the US. Likewise, in regards to international law, the US is party to the Geneva Convention on Refugees (1951), which calls upon signatories to ensure that the rights of refugees are respected and protected. In this case, it is remarkably evident that Trump’s executive order has defied the treaty’s obligations placed upon the US. Furthermore, the above claims to justify the executive order do not seem to correlate with the countries mentioned. The countries included within the executive order have never had a citizen commit a terrorist attack on US soil since 1975. What is even more baffling has been the exclusion of other countries within the Middle East that theoretically pose similar national security threat levels to the US, such as Saudi Arabia, Afghanistan, Pakistan, or Turkey. Even if we were to assume a national security threat from Muslim foreign nationals did exist, David Schanzer, Director of the Triangle Center, highlights that “attacks by Muslims accounted for only one third of one percent of all murders in America last year.” Given these revealing statistics, further clarity by the Trump administration must be provided on why this particular set of countries was selected for the executive order. Finally, a lack of clarity lies within the details of the executive order and the Trump administration. Whilst it has been made clear that certain citizens have been marked as exempt from the ban, such as nationals travelling on diplomatic visas, others seem to be on the fence (quite literally). For example, a multitude of dual-citizens are unsure whether they can travel into the US (or return to the US after travelling out), along with a number of green card holders and visa-processed individuals who hold citizenship from the stated countries. Overall, there is evident confusion over the legality and clarity of Trump’s executive order, and what happens in the year ahead will be crucial when analysing US foreign relations with the rest of the world. Geraint Garcia is a final year student at King’s College London studying BA Political Economy. Whilst he is writing his dissertation on International Law and Human Rights Violations, he is also passionate about International Development, particularly within the Middle East, North Africa and Sub-Saharan Africa. He began working for Canada’s largest investment bank, the Royal Bank of Canada, at the age of eighteen and later secured a transatlantic internship as a Government Affairs Liaison with the Fulbright Association, a non-governmental organisation focusing on education and diplomacy based in Washington D.C., USA.